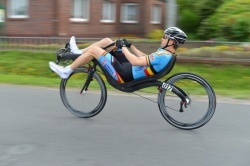 Remco Grasman world champion on UCI World Championships Time Trial at Albi, France using 2-SPOKE wheelset! Remco Grasman from Emmeloord (Netherlands) is world champion time trial in the elite without contract in his age category (45-49). 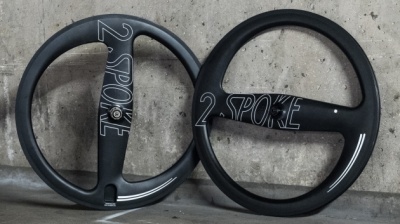 He managed to cover the 22 kilometres in 30 minutes and 21 seconds on the hilly, pizza oven temperature time trial course in Albi, France, using an M5 2-SPOKE wheelset. A beautiful apotheosis for Remco; after this world championship he's planning to slow things down a little. On July 11th, I took my M5 Carbon High Racer, also known as "The Black Rider", with 20 kg of luggage (including camping equipment and cooking utilities) packed in 2 banana side bags and a backpack from Amsterdam to Emmen to follow the Jutland cycle route to Hirtshals in Northern Denmark. There I took the boat to Bergen and drove along the coast and the Lofoten Islands to the North Cape via the route of www.europafietsers.nl. With some extra trips here and there all together 3800 km (2360 miles). 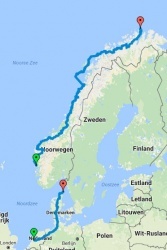 Initially each day trip covered around 150 to 200 km while decreasing in the Norwegian mountain landscape to an average of about 125 km per day. It is a beautiful route where I could often see magic scenes in the evening sun. Because of the beautiful light and the more quiet roads, I cycled a lot in the evening. Thrilling to see the landscape varying from beautiful round shaped mountains to vast fjords, magnificent arctic mountains and the tundra with the many beautiful reindeer. Well, of course, some effort had to be done, but in general, I actually cycled very relax (a nice smooth cadence), except at times when I wanted to set some small individual record.., wanted to heat up a bit (this is Norway..though the biggest part of the trip had very good summer weather) and when trying to catch some ferry deadlines. The most funny moment was in Solvorn, biking with over 50 kilometres per hour and piling up on a downhill barrier. I still remember the look of the ferry employee..., he initially seemed to refuse me on the ferry because of my enthusiastic action but it turned out that he was only bothered about the fact that I would probably bike on the ferry. The stability of the bike allows it to climb a slope of 10% or more even on my lowest effort at with speeds less than five kilometres per hour (3 mph) while my heart rate monitor indicates that I'm doing a recovery training! 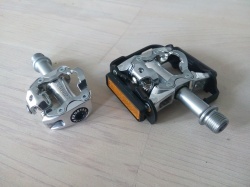 Descending is the other extreme, sometimes at speeds above 80 kilometres per hour,(50 mph) and that speed is often limited by the amount of steel in your nerves at the brake levers. Also, riding the bike with speeds above 60 km/h on bad surfaces and cattle grid does not feel bumpy at any moment. Although there is no suspension, it still feels that this bike sticks to the asphalt. A true joy! I did also met a number of North Cape cyclists and sometimes joined them, arriving at the top of a slope with a decent "may be see you later" to see them disappearing very fast in my rear view mirror, sometimes we met again at another ferry or shop. Eventually I arrived on the Northern Cape on August the 12th, where I celebrated my "victory" with the most overpriced beer ever! MINIMAL BIKE winner of German Bicycle Brand Contest 2017! A few months ago the MINIMAL BIKE already received the Dutch Bike Innovation Award 2017. Now it also won the first price in the prestigious 2017 German Bicycle Brand Contest! trimmed versus original versionA little bit of sawing, a bit of sandpapering and in the end a bit of polishing. From 180 to 120 grs. (6 to 4 ounce), but apart from that less bulky. After this session only 10 grammes heavier then the 5 times more expensive titanium version! Image: Jens SeemannStijn did it again!! The climbing time trial was deleted because of an approaching thunderstorm while riding second place. M5 Minimal Bike winner Bicycle Innovation Award 2017! 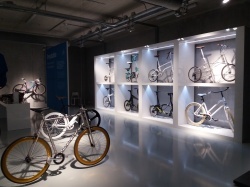 Winners announced today at the annual congress RAI Bicycle Retail Trends in Burgers Zoo, Arnhem. Minimal Bike M5 is a truly innovative bike design, which was created through a minimalistic and wherever possible integrated approach. This resulted in a totally different and super light (from 6.7 kg with disc brakes!) model. 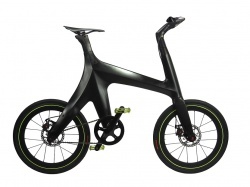 The jury believes that this is shown clearly and reflected in the design of this bike in about every detail. An integrated head tube, the carbon fiber frame, the hidden cables and of course the unique (light) weight. 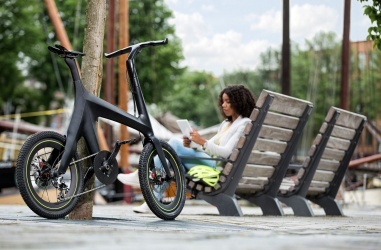 M5 has created a bike that turns heads and which meets a need in urban areas for example. No, we are not replacing recumbents by road bikes....:) They are both there and both are fun to develop.But today Bram Moens had to attend the last pitch for the Bike Innovation Awards jury. There was also this clip shown. Makers of these cool video are Winand Veldhuizen and Ansho Bijlmakers supported by Bram Moens and model Desire Melchiot.Please watch it full screen on You Tube itself! Wondering if cross winds will be converted to free speed! 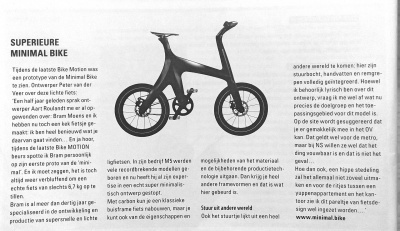 An enthusiastic article in the latest issue of Tweewieler, the Dutch magazine for the bicycle business. "It's always amazing to lift a real bike of only 6.7 kg"
"All expertise in a really minimalistic design"
"Handle bar from a different world"